"What's D&G," asks Bruno, "Why Dolce & Gabanna, Hello?" 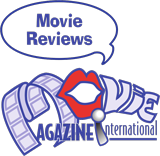 I have to say I wasn't really expecting to enjoy Bruno, so when we arrived at the movie theater I was already uneasy, I'd seen the trailer - would I be inclined to storm out indignantly, as some people actually did?. My partner and I settled ourselves in, expecting a kind of gay "Borat." "Borat" was Sacha Baron Cohen's first foray into the "reality movie," not a documentary, mind you, more the thinking man's expose, and it was pretty funny. But all I kept hearing about "Bruno" was "it's over the top," and, well, it is, but it's even more than that. 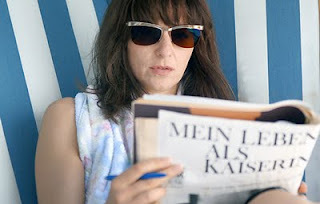 The Oscar nominated Baader Meinhof Complex (best foreign language film from Germany)was bound to be made, and Uli Edel has done it. Not since Margarethe von Trotta’s The German Sisters (1981)has such a compelling film been made on the political violence of German youth in the late 60s and 70’s. It was a time of rebellion against the police state Germany had become and many decided to strike back with force. The Red Army Faction (RAF) was formed in 1976 and was behind several bombings, kidnapping and assassinations of political leaders. The key members were Andreas Baader, Ulrike Meinhof and Gudrun Ensslin. The film traces the evolution of the group and their demise and secretly arranged execution in prison that was made to look like a suicide. 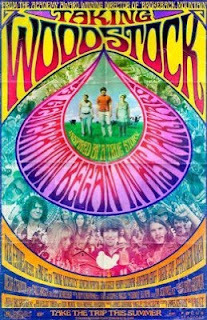 By Moira Sullivan Taking Woodstock is Ang Lee's latest picture that takes a look at the origins of the Woodstock festival in New York in August of 1969.It is based on the autobiography of Elliot Tiber, the son of two Russian Jewish immigrants who maintain a not very successful farm in upstate New York. James Shamus wrote the screenplay together with Tiber, which is a delightful one. The film gets great support from the outstanding performance of Imelda Staunton as Eliot’s mother Sonia and this is an actress who truly is able to play a wide variety of roles and still remain unique in every one of them.